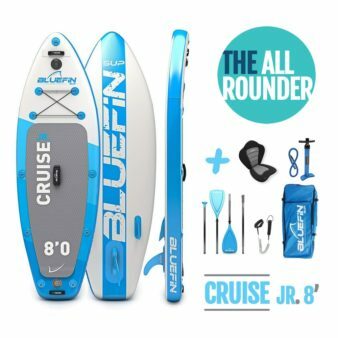 Riders who prefer loads of extra stability as well as sporty paddlers interested in doing more than stand up paddling with their board. 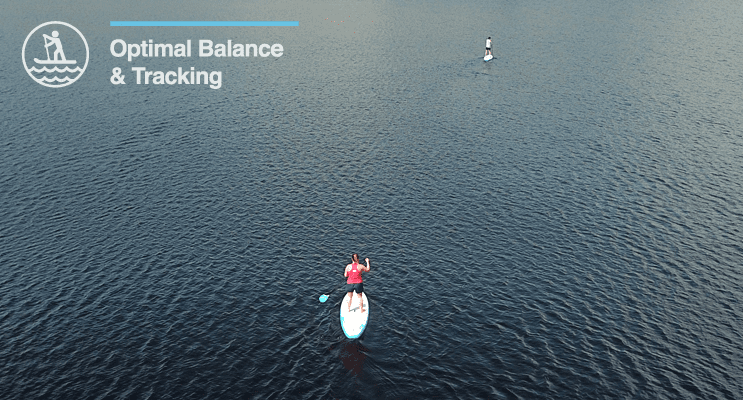 Balance is a breeze with Voyage’s maximal enhanced stability. 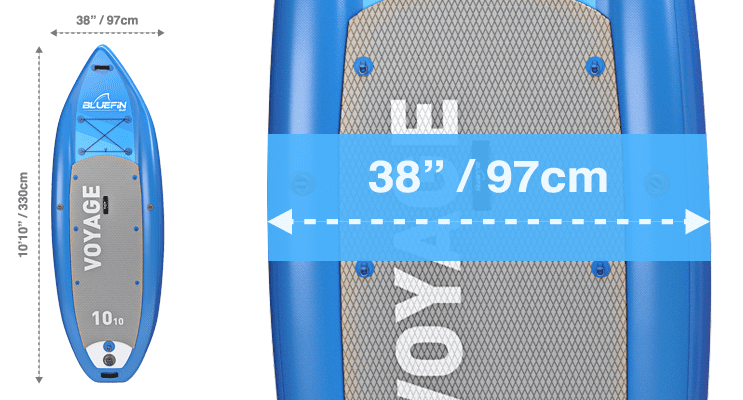 We’ve designed Voyage with an extra wide 38” deck to give you the most stable platform possible. 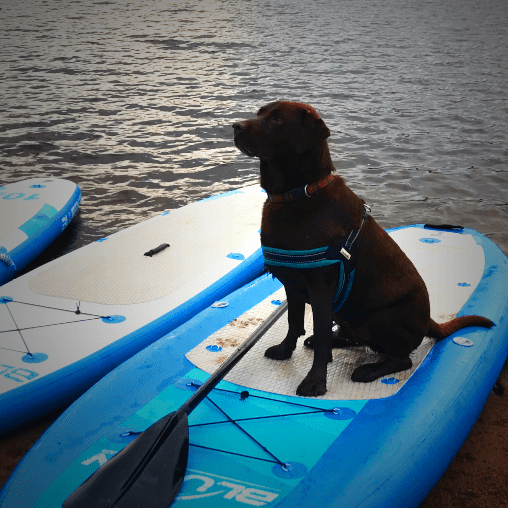 You’ll appreciate the extra space for yoga, ocean paddling, fishing, running rapids or anything else that may throw you off kilter. 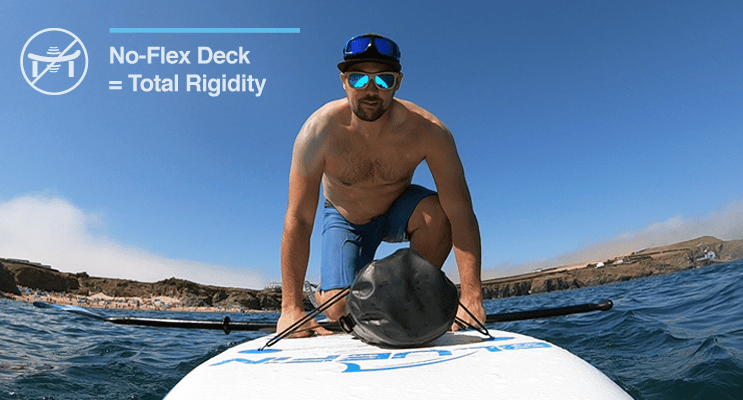 We’ve combined a unique tri-chamber inflation system along with loads of extra deck space to give you the most stable board around. Voyage tracks well for efficient paddle sessions & doubles as an excellent base for all the non-paddling activities you may get into on the water. 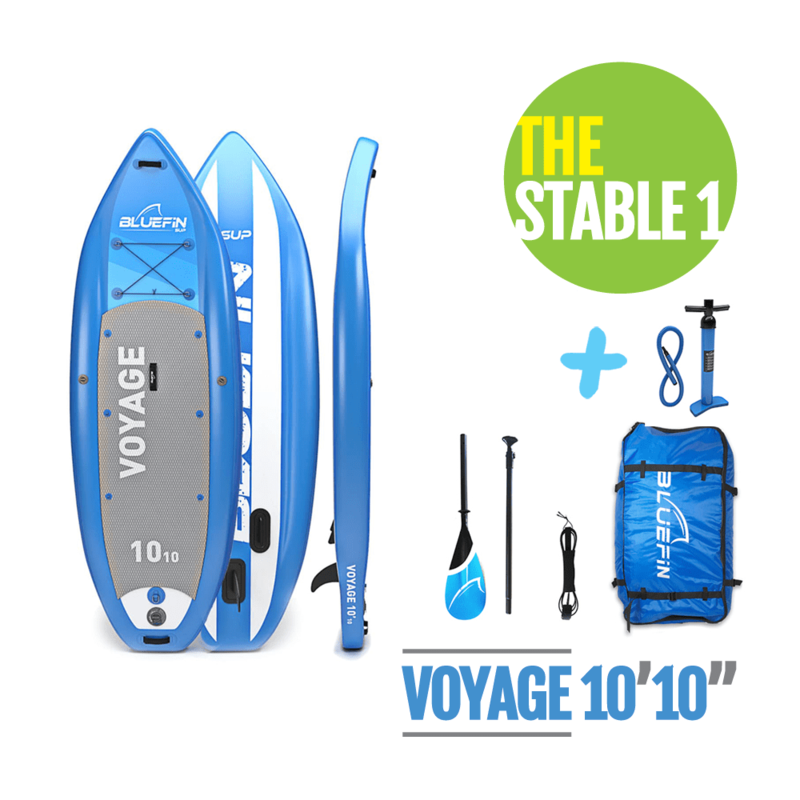 Voyage is ready to go from doorstep to water on day 1 with everything you need in the box. 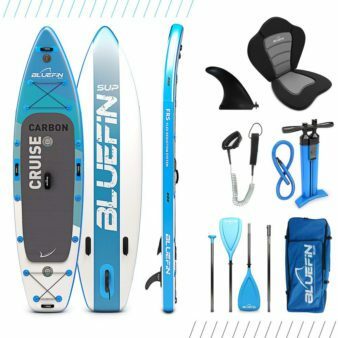 Explore all that stand up paddling has to offer on a truly versatile board you won’t outgrow that doesn’t limit itself to paddling. Don’t limit your options. 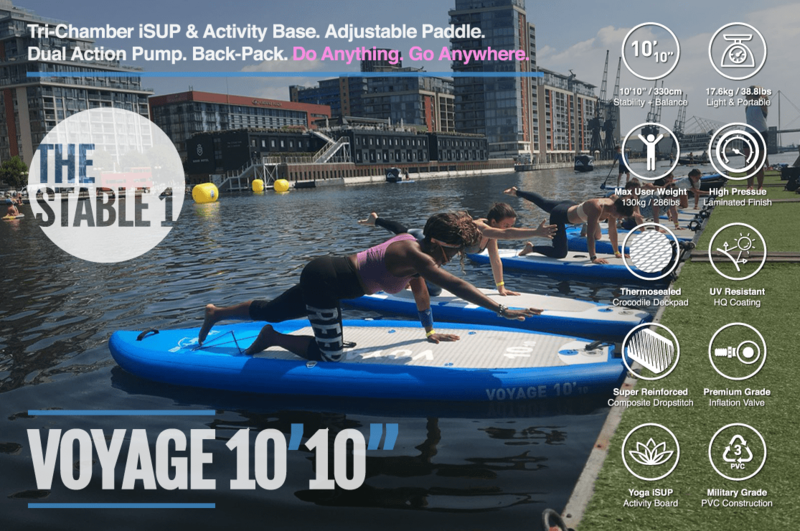 Voyage glides effortlessly when paddled & also provides a fantastic base for yoga, fishing or pilates. 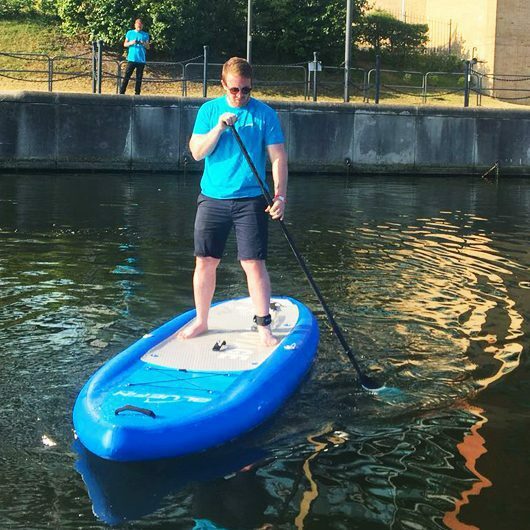 Stand mid-board for a comfortable touring pace or paddle kneeling if the water gets rough. Voyage is rigid! 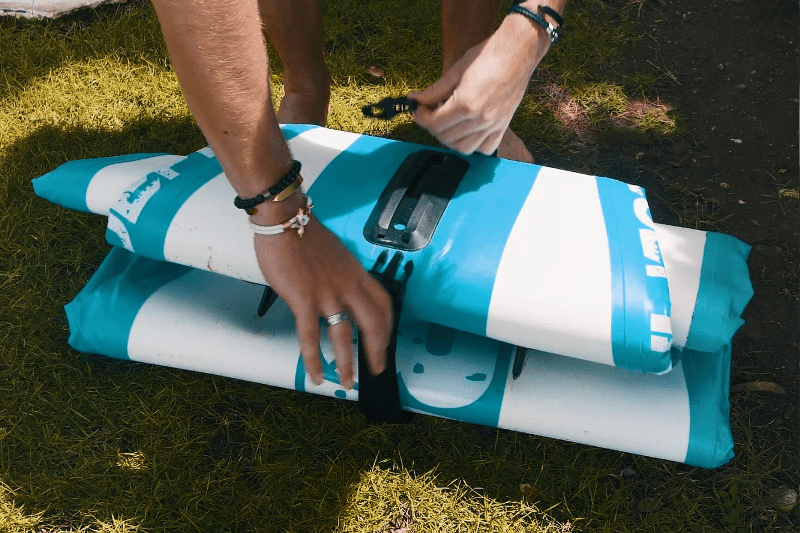 Our unique tri-chamber inflation system allows Voyage to be super stiff at low psi. 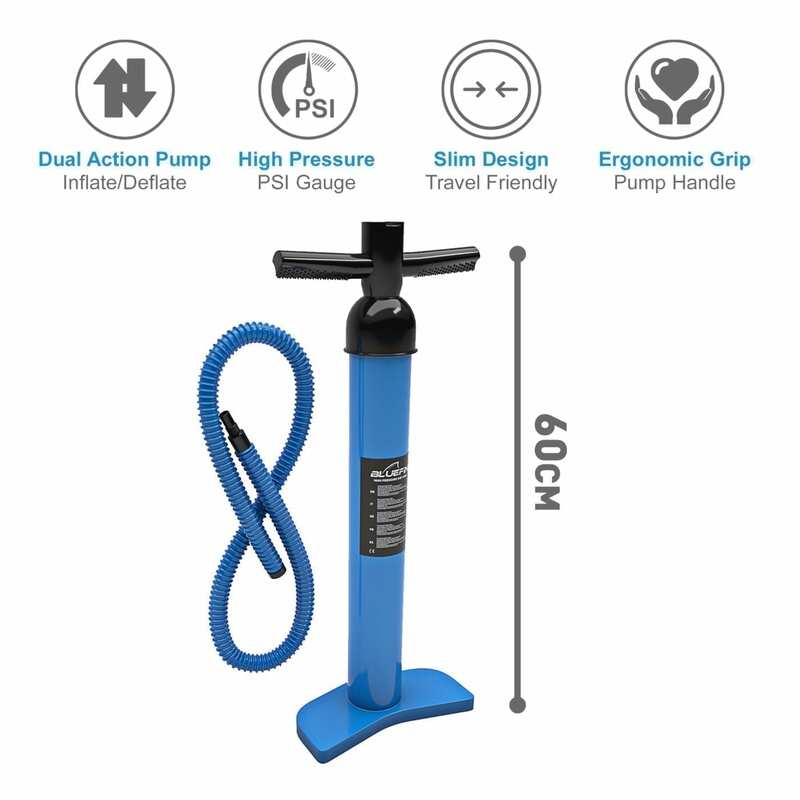 We recommend inflating the central chamber to 8 PSI & the external chambers between 3 & 4 PSI. 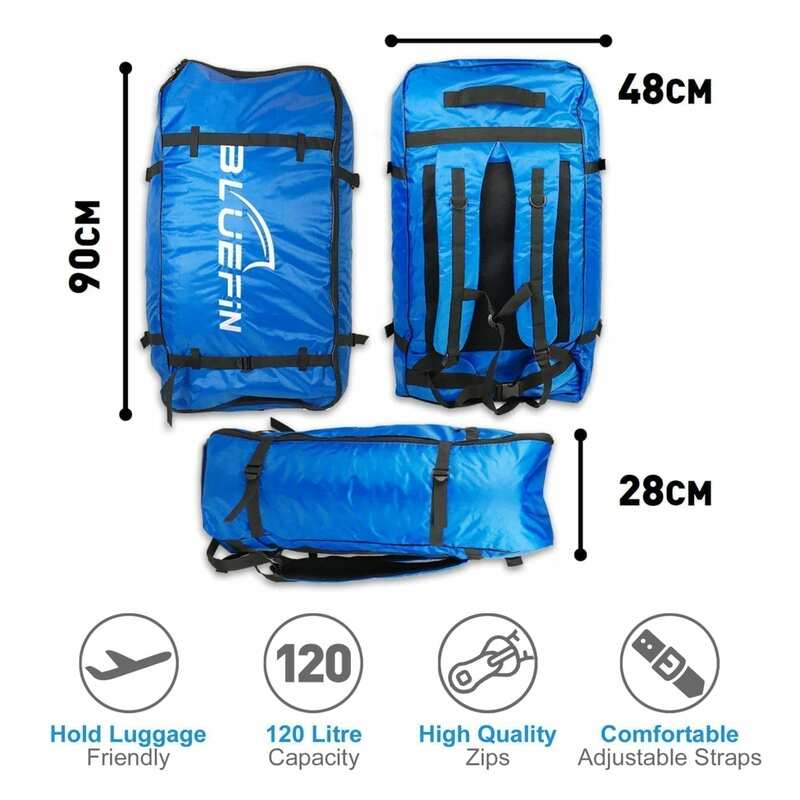 Bring your tent, your dog & your cooler with a max weight load of 130kg. 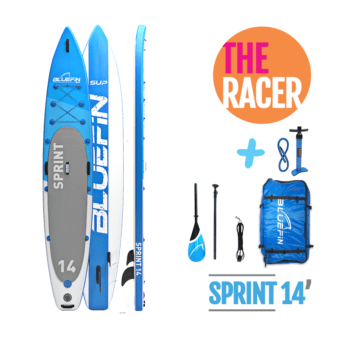 The Voyage is a great choice for paddlers who weigh 100 kg or less + their extra kit too. Don’t worry about factoring in extra costs. Voyage comes with everything you need from day one. 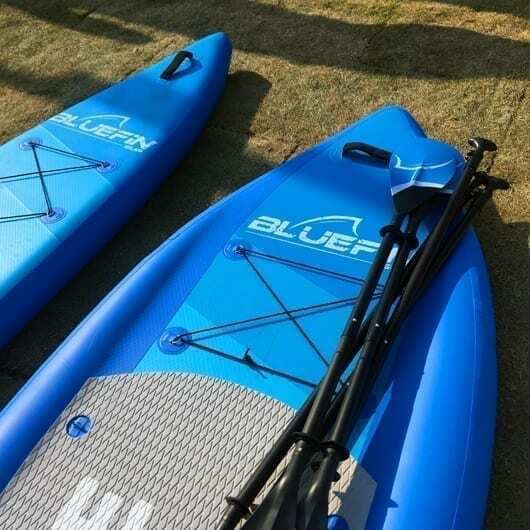 Only Bluefin uses 1000 derniere Exo Surface Laminate technology. Our ultra tough, UV resistant decking lasts a lifetime. 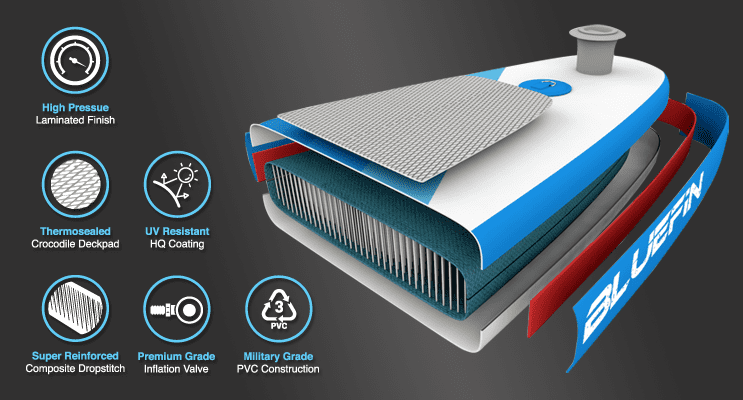 Only Bluefin uses 1000 derniere Exo Surface Laminate technology. Our ultra tough, UV resistant decking, easily withstands upto 25 PSI & lasts a lifetime. We use the densest drop stitch pattern on the market because we have the most skilled technicians and advanced manufacturing components available. 11200 stitches of 500 Derniere Space Yarn per square meter make for one rigid board. 38” deck sits just 6” above the water. 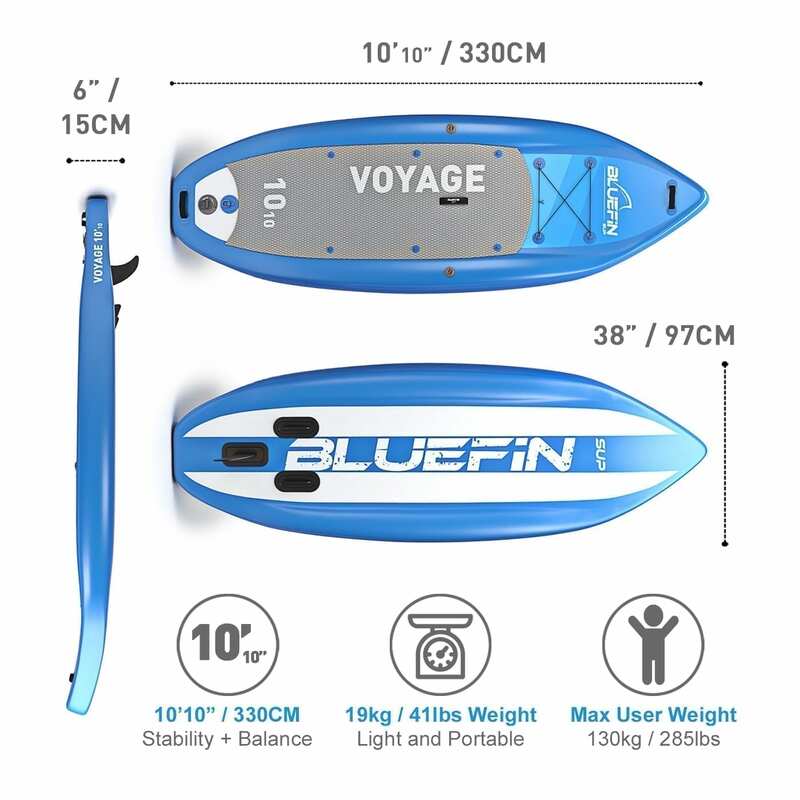 With approximately 330 litres of air, you’ll never struggle to balance on Voyage, even when standing on your head. 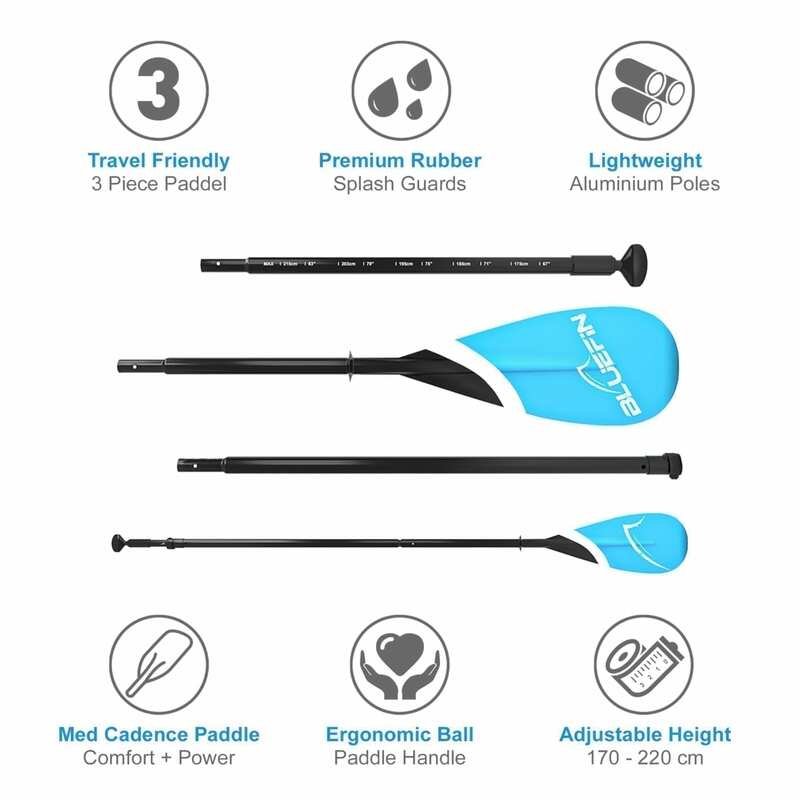 2 Piece no-flutter paddle with durable aluminium shaft for easy assembly. 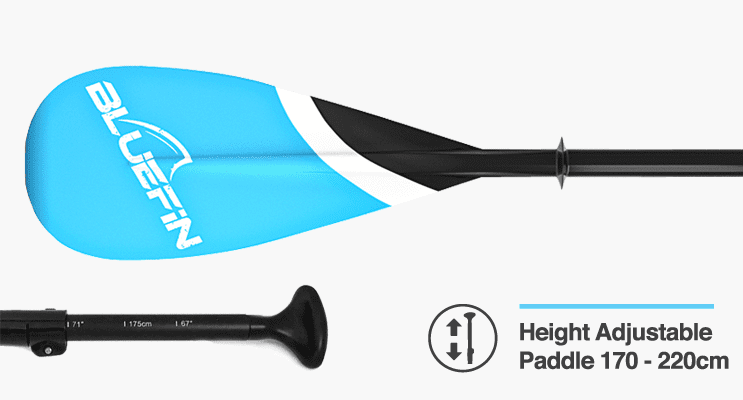 Lightweight, buoyant & adjustable from 170 cm to 220 cm. Voyage is incredibly rigid at low PSI due to its unique, multi-chamber construction. Inflate the internal chamber to 8 PSI & the external chambers to between 3 & 4 PSI. 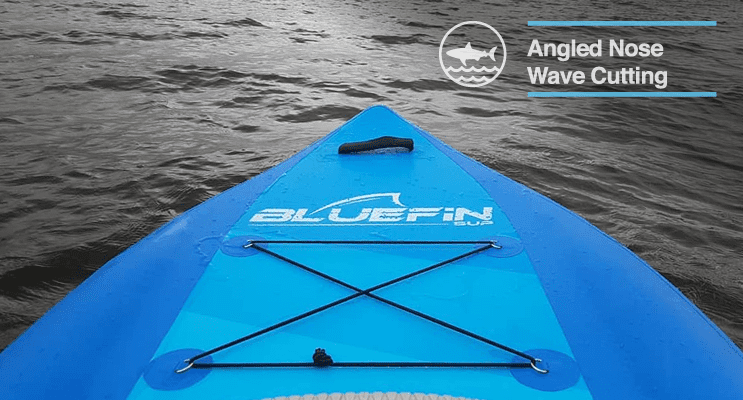 Cut through waves & chop without having to work for it. We’ve angled our side rails into a low-profile pointed nose while keeping the rocker gradual & to a minimum. 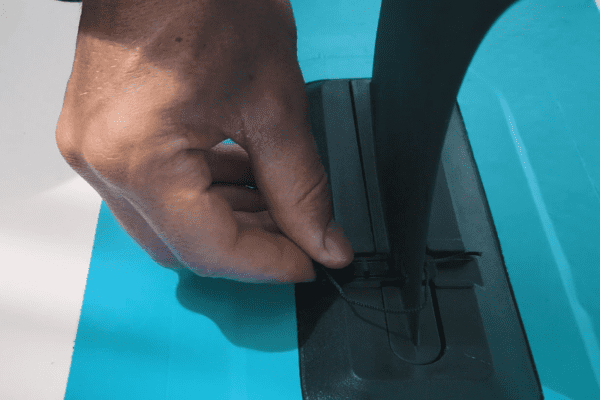 Cut through waves and chop without having to work for it. We’ve angled our side rails into a low-profile pointed nose while keeping the rocker to a minimum. 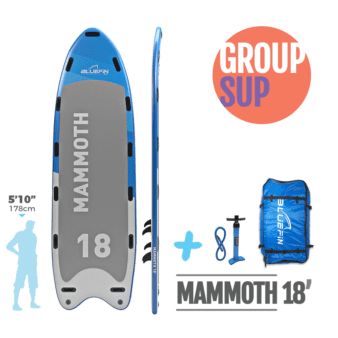 Voyage’s 10’10 waterline provides maximum stability without sacrificing tracking. 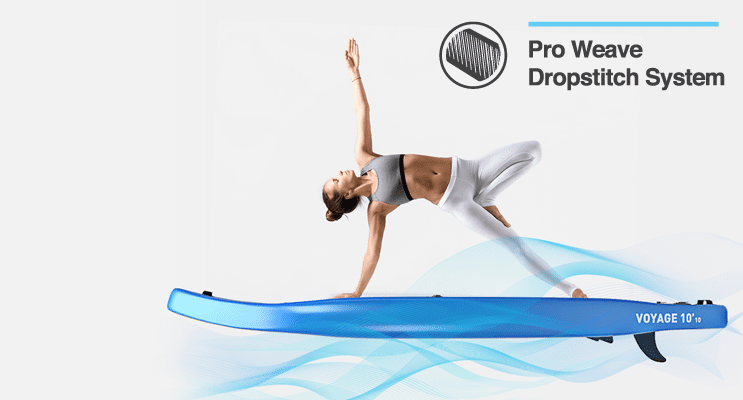 Easy straight lines and effortless balance for yoga, pilates, stand up paddling & more. 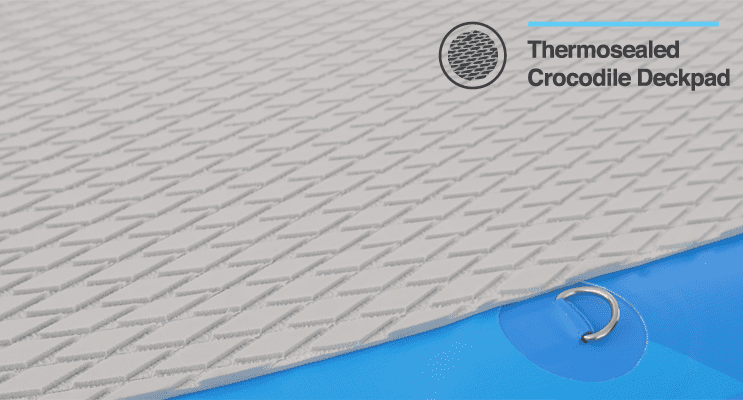 Ensure maximum traction with our diamond grid crocodile deckpad that’s also soft enough to be comfortable under foot. Our valve is in it for the long haul. Durable, straight forward & designed for easy cleaning and maintenance. Take Voyage with you. At 20.4 kg all in Voyage & its accessories are meant to travel. Check your iSUP as standard baggage. 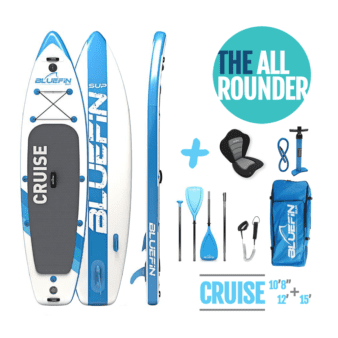 We stand by our paddle boards by offering the longest warranty & return period on the market. Our customer service team is the friendliest & most well informed you’ll find. 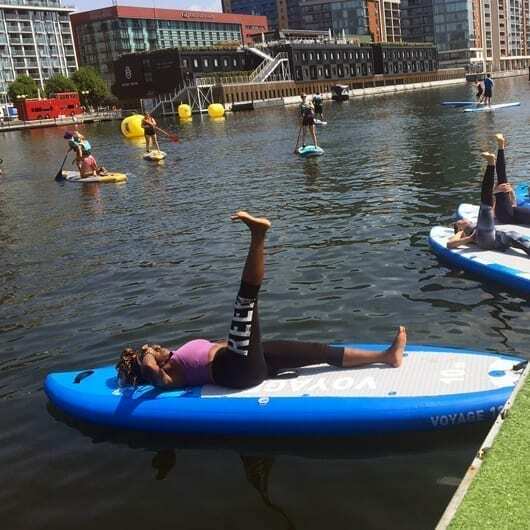 We are avid paddlers and use our boards frequently, which means we know how to help you if you need it.